Hablitzia Tamnoides likes to take its time establishing but is well worth the wait. 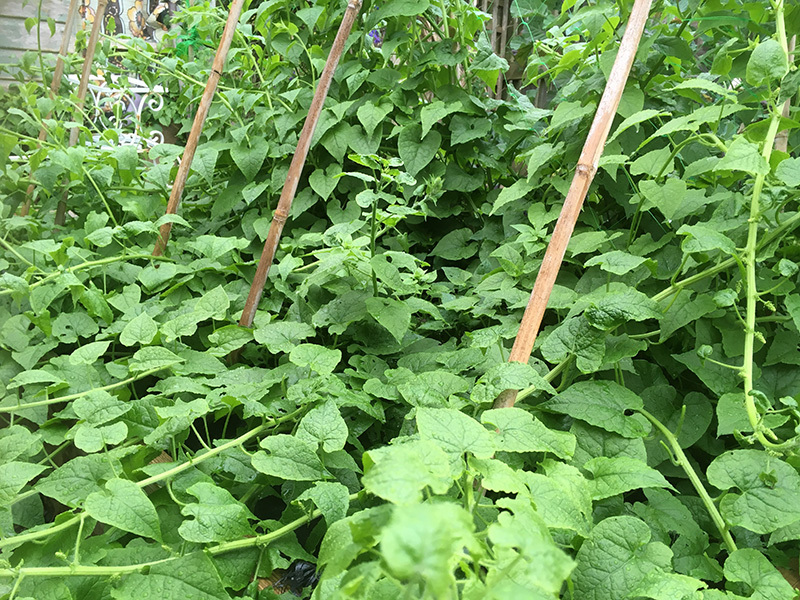 As each year goes by the plants become more vigorous, the leaves become larger and deeper green and I have seen the most remarkable growth spurt as May approaches…something like 30cm or more a week. 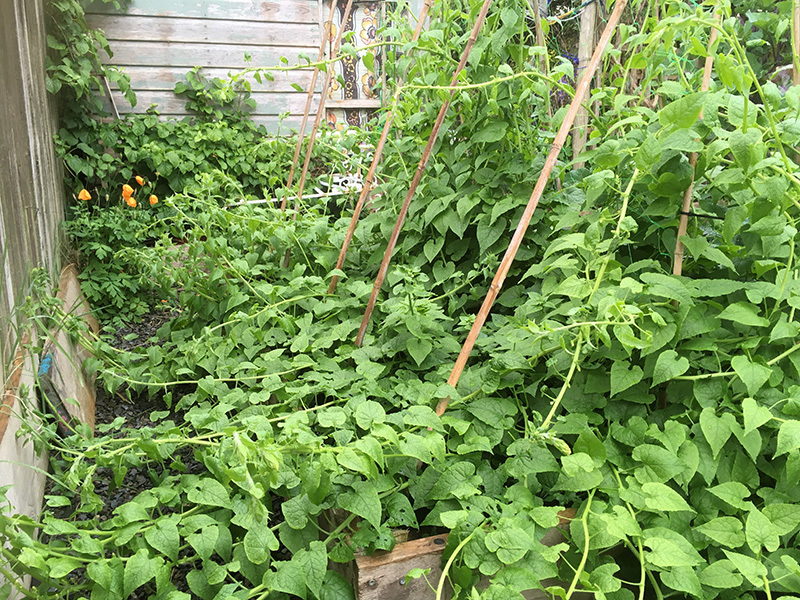 The images below show some of our four year old plants in our back garden at home which are creeping rapidly sideways as well as upwards. 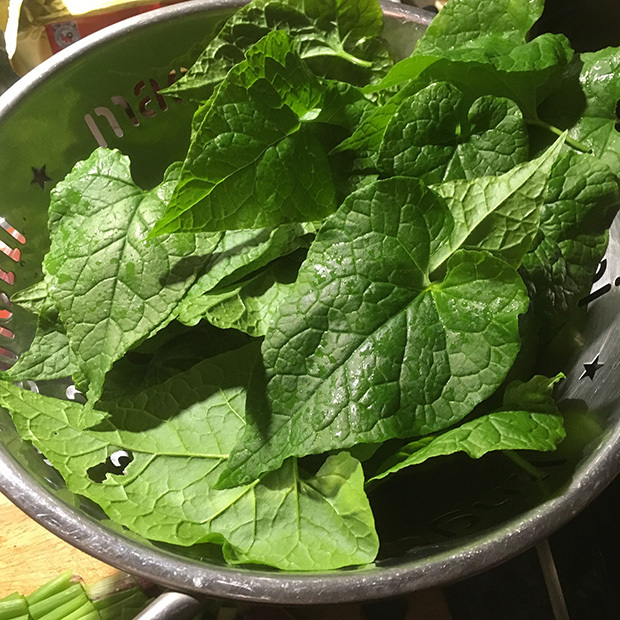 They are providing an amazing spring harvest of tasty spinach leaves and we have been making salads, crisps and fritters with the leaves, the possibilities are endless. 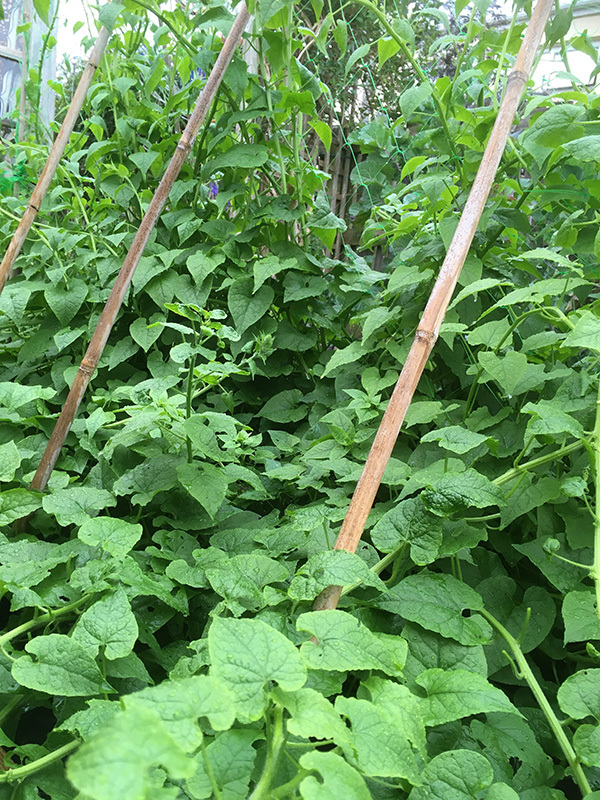 This plant is an absolute superstar of the perennial vegetable world and could (quite literally!) take over the planet. 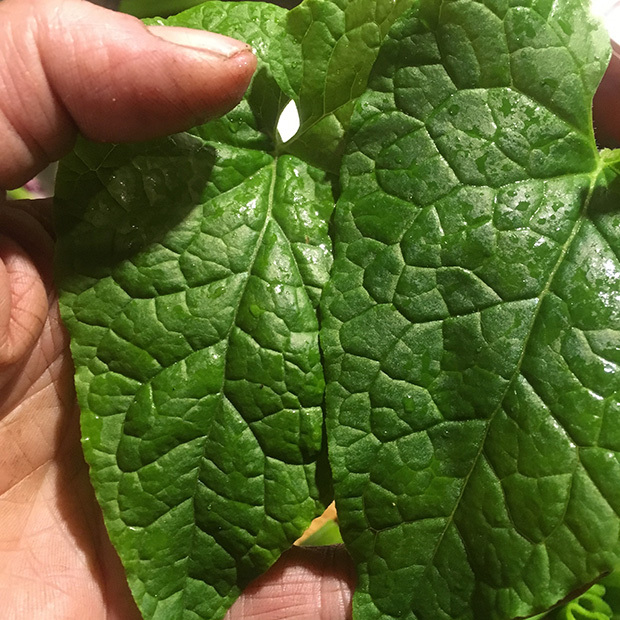 Hablitzia helps bridge the hungry gap, providing edible shoots in March and spinach leaves from April and throughout the summer. An excellent substitute for annual spinach which is difficult to grow in the warmer months as it tends to bolt easily.